When we talk about about convertible car seat, We should mention Chicco NextFit iX Zip and Chicco NextFit iX as two new options introduced by Chicco. From their name, We can easily guess that Chicco NextFit iX Zip and Chicco NextFit iX are two closely related models. Should You Choose Chicco NextFit iX Zip? To answer that question, we need to know the key differences between those two convertible car seats before we can make a decision. In this article we will shortly look at Chicco NextFit iX Zip and NextFit iX then talk further about their key differences. Chicco NextFit iX Zip is the new generation of Chicco NextFit Zip. It comes as 2-in-1 convertible car seat that can be used as rear-facing infant car seat and forward-facing harness car seat. Chicco NextFit’s recommended weight limit for rear-facing infant mode is 5-40 lbs, while the forward-facing harness mode can be used for 22-65 lbs toddler. To make sure that it’s accurately fit in wide range of vehicle types, Chicco NextFit Zip comes with ReclineSure 9-positions leveling system. Chicco NextFit iX Zip is also completed with SuperCinch latch tightener that combined with dual RideRight bubble indicator. SuperCinch tightener help you to achieve secure installation easily, while the RideRight bubble indicator let you know that you are installing in the right angle. Chicco NextFit iX Zip is also completed with 9-positions adjustable headrest and no rethread harness that can accommodate your growing child to keep them comfortable. We can also find Steel-reinforced frame and EPS Energy absorbing foam in Chicco NextFit iX Zip. Steel-reinforced provides strong foundation for the car seat, while EPS provides effective impact energy management. Chicco NextFit iX Zip is also completed with Zip & Wash Seat Pad so that you can remove the seat pad easily and machine wash it when your car seat gets dirty. Chicco NextFit iX is introduced as the improvement of previously popular Chicco NextFit iX. Chicco NextFit iX comes as convertible car seat that can be used as rear-facing infant car seat and forward-facing harness car seat. 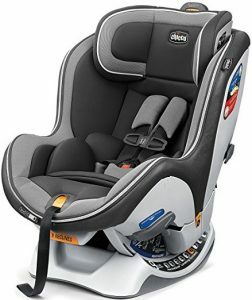 Rear-facing mode can be used for 5-40 lbs infant, while the forward-facing harness mode can be used for 22-65 lbs toddler. Chicco NextFit iX comes with reclineSure 9-position leveling system that make this car seat accurately fit in wider range of vehicle. 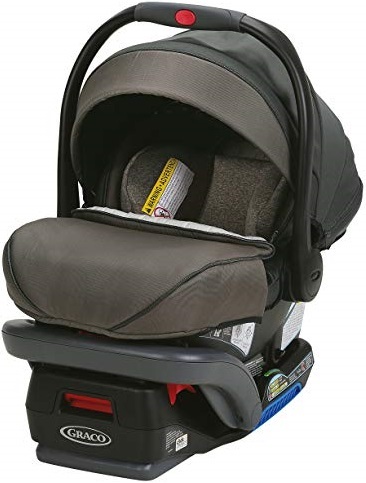 This car seat is also easy to install as it comes with premium connectors, SuperCinch tightener and dual RideRight bubble level indicator. SuperCinch tightener help you to achieve secure connection with fraction of effort, while the dual RideRight bubble level indicator help you to verify that you are installing on the right angle. We can also find 9-positions adjustable headrest with no-rethread harnes in Chicco NextFit iX to keep your growing child comfortable and properly fit. Steel-reinfoced frame and EPS energy absorbing foam also can be found in Chicco NextFit iX to provides strong foundation and effective impact energy management. Removable cup holder also can be attached on both sides of this car seat to help your child easily access their favorite drink during the longer trip. We need to know the specs and features of Chicco NextFit iX Zip and Chicco NextFit iX before We can talk more about their differences. The specs and features of Chicco NextFit iX Zip and Chicco NextFit iX can be found on the table below with table of similarities & differences. While there are several similarities between Chicco NextFit iX Zip and Chicco NextFit iX, we can also find few differences between Chicco NextFit iX Zip and Chicco NextFit iX. From the table above, We can find that the key differences of Chicco NextFit iX Zip and Chicco NextFit iX come from the Zip & Wash Seat pad and additional ComfortFlex harness management that we can find in Chicco NextFit iX Zip. Zip & Wash seat pad is able to help you clean the car seat easily when it gets dirty, while ComfortFlex Harness helps you to keep both sides of waist belt out of the way so that you can get your child in and out of the car seat easily. 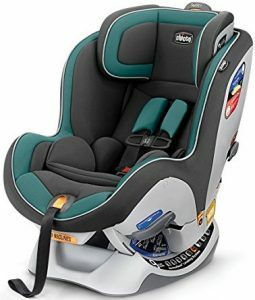 In the price side, we can find that Chicco NextFit iX Zip that completed with Zip & Wash Seat pad is usually offered at the higher price than Chicco NextFit iX. How much is their price difference? To find out their latest price difference, it’s important to check their latest price since the price of those two convertible car seats change from time to time. Should You Choose Chicco NextFit iX Zip? Share the post "Chicco NextFit iX Zip vs NextFit iX Differences"